If this is you, no matter what time of year it is, it's time to take the bull by the horns and get that garage space you've always dreamed of. If you need a place to start, here are some ideas to get you motivated and moving in the right direction. 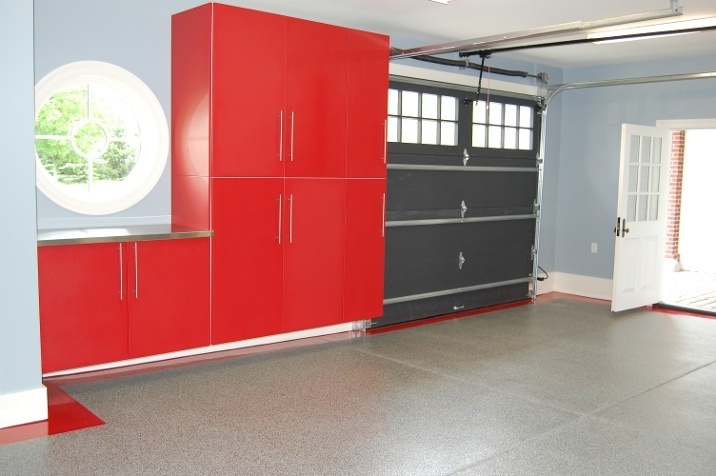 The most important step in getting the garage of your dreams is to plan it out carefully. To do that, first you need to decide exactly what you want from your space. Is it a place for woodworking? Car repairs and restoration? Enjoying a drink while catching the game with your friends? Whatever your dream is, proper planning will help make it a reality. Start by figuring out what you want to keep and what you need to get rid of. You can donate unwanted things to charity, store things elsewhere like an attic or storage unit, and toss anything that's just trash. Next comes deciding how you want to organize the space. Shelving units are ideal for things you access frequently. Pegboards hold tools within easy reach while cabinets are better for holding items you want out of sight or don't use as often. Hook systems are great for bikes and other things you want safely stowed away. Oh, and be sure to save room for the car in your plans! Now that you have a plan in place, it's time to find the pieces parts you need to pull it all together. When selecting cabinets and other storage solutions, you need to look for ones that will be functional and look good in the process. Matching cabinets can be configured to fit any space while giving you room for all your essentials. Consider locking models if you store chemicals or just want to keep little fingers away from your tools. Keep in mind if your garage is not heated in winter, this could take a toll on your storage spaces so be sure to look for options that will stand up to temperature extremes. Storage space for sports equipment and your kids' toys needs to be age appropriate and easy to access to protect little ones. 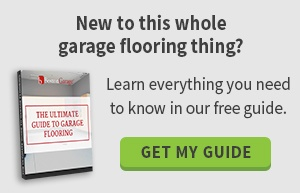 When you update your garage, don't forget about the floor. Most older spaces have issues with the floor, whether it's grease spots or cracks, it's usually not the prettiest spot in the house. There are several ways to overcome these flaws. You could simply clean it if the stains aren't too bad or you could paint it with a concrete paint. For a more permanent solution, check out the benefits of an epoxy floor covering. It's durable, beautiful and customizable in different colors. It's also stain resistant, which is a must if you're planning to use your garage to work on cars. No matter what purpose you want your garage to serve, remember that proper planning and the right materials will help make your dream into your actual life. Contact us today for a free quote and see all the ways we can help you get the space you deserve.